Bath is unarguably a very beautiful city with a fascinating history. Modern day visitors to Bath cannot be disappointed. But it is also of great significance to Jane Austin fans. It is hard not to be reminded of your favourite Jane Austin characters – mine is Anne Elliot – from the moment I turned the first few pages of “Persuasion” she won my deepest sympathy. I myself had a sweetheart at the age of seventeen, and I was encouraged to wait until we were older…to allow him to advance his career. By the time we did spend six months together holding hands everywhere we went…he had changed so much after leaving home…I found a strong dislike developing within me towards him, Eventually I made the emotional decision to dissolve our courtship. That is another story, I will tell you all about one day. But for now, back to Goldfinch and I in Bath. You may know it is the Royal Crescent in Bath already. You may also remember it was used at the end of the 2007 BBC production starring the tremendous Sally Hawkins. This was where Goldfinch and I headed late on Sunday afternoon after some of the other sites we had visited towards the centre of Bath. I sobbed pretty much the whole way around the Royal Crescent whilst Goldfinch held my hand tightly and tried to console me. Poor Goldfinch! Unbeknown to him, he became my modern day Captain Wentworth for the weekend! Yikes…my eyes are filling up again…How these leaky eyes are set to vex me! Perhaps it is unwise to visit a location that reminds you so much of tear-jerking moments from your favourite Jane Austin adaptations! Oh dear! I am sure by now I have lost all of my male readers…so it seems the time to confess that there was a point when Goldfinch was teasing me about Jane Austin. I corrected him, explaining that if it was not for Jane Austin, women would not be half as interested in men! I asked him why we would tolerate smelly, untidy, ignorant brutes if it was not for the romantic strokes with which Jane Austin paints her male characters? Am I allowed to say that? Well…anyway, it made Goldfinch laugh. The price to pay though…includes leaky eyes, a thirst for occasional sentimental romantic gestures from men, and a recognition that in general (though not all will agree) women may have feelings that it is challenging for a man to comprehend. Aaaaw…I am so glad Jane Austin gave her female characters happy endings…makes all the tears worthwhile. This is an excellent post for no other reason that not only do you portray your love of Jane Austen but you have tried to write in her style and that is no mean feat, so well done and its good I think to maintain an emotional connection with the texts you love. Thank you Michael, that is very kind of you. It is really hard not to think of Jane Austin when you visit Bath….and I truly love her novel Persuasion. Well CC, I have to admit that I was forced to teach her several times if not many during my teaching career. I belong to the group of people in this world who didn’t enjoy JA. But having said that I also worked with people who loved every word she wrote and I always admired them for that thinking somewhere along the line I had lost the something you needed to like her novels. 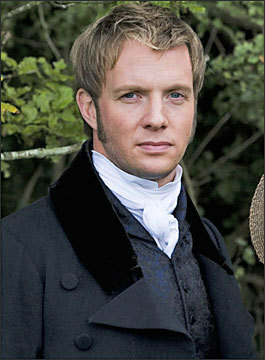 Having said that I did like P&P as I liked the Bennets, Mrs Bennet in particular.